In 1990, Clermont County established storm water management regulations to help manage storm water in an urbanizing county. With more businesses, houses and roads, there is less open ground to absorb the rain that falls. Most new developments are required to have storm water runoff controls, such as detention basins, to help manage the extra runoff. In most cases, the responsibility to maintain and repair detention basins falls on the owner of the property, or possibly a homeowners’ association. A detention basin is a low-lying area designed to temporarily capture and hold storm water runoff during periods of heavy rain. After the rain ceases, the basin slowly releases the water over a period of one or two days to minimize flooding and stream bank erosion problems downstream. Basins also help remove sediments from storm water runoff, which improves the quality of local streams. The guidebook will help answer questions and provide owners with detailed instructions for basin maintenance activities. The booklet includes information on the components of a detention basin, recommended maintenance activities and inspection schedules, vegetation management, mosquito control and more. 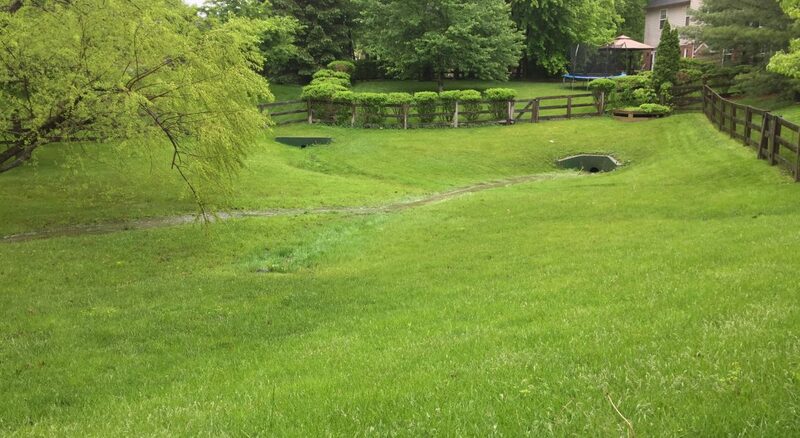 Routine maintenance will help prolong the life of the detention basin, help prevent flooding and property damage, and protect local streams and lakes. Routine maintenance will also help minimize the necessity for more costly repairs. Click here to download a copy of the “Maintaining Your Detention Basin” guidebook, or call the Clermont Soil & Water Conservation District at 513.732.7075.